DIY Kit of Transient Modules 2M. The kit includes all the necessary parts to make a completed module including power cable. The 2M is a dual three channel mixer in 6 HP with volume controls over all the inputs as well as the final output. As its design has been specially focused on audio applications, the input potentiometers are audio-taper type while the output ones are linear. Low distortion / high quality audio operational amplifiers have been selected in order to achieve clean audio mixing, but is also DC-coupled, so it can perform CV signal mixing as well. 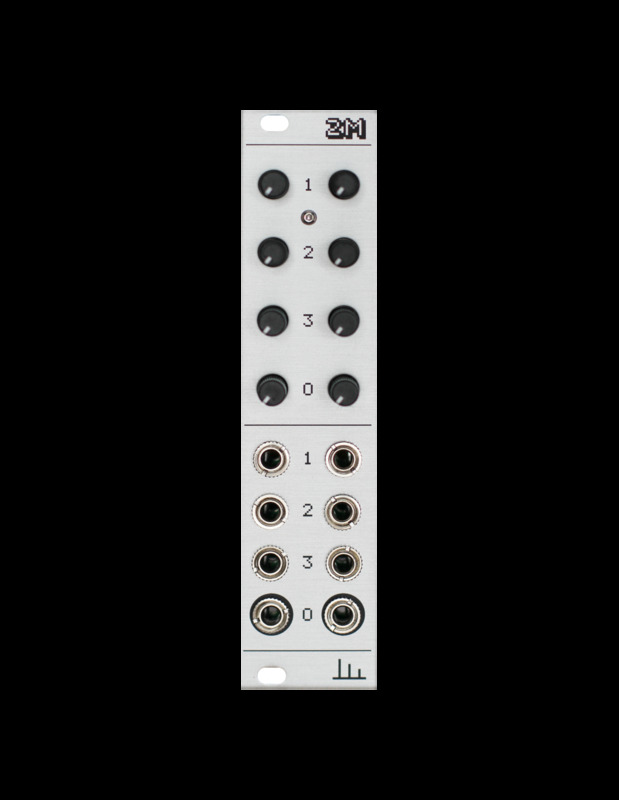 Great for a small system, allowing for submixes or even stereo mixing. DIY Kit of Patching Panda grab_alo8 module. The kit includes all the necessary parts to make a completed module including power cable. NOTE: This is a full SMD DIY Kit. If you are not familiar with this type of assembly, please look for information about it before. 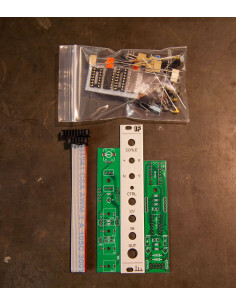 DIY Kit of Olitronik Circuits Pro Out. 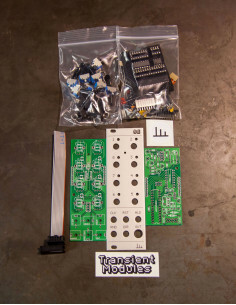 The kit includes all the necessary parts to make a completed module including power cable. 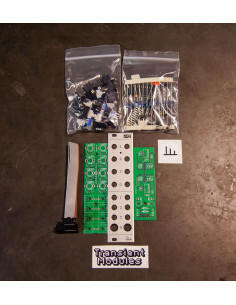 DIY Kit of Transient Modules 8S. The kit includes all the necessary parts to make a completed module including power cable. 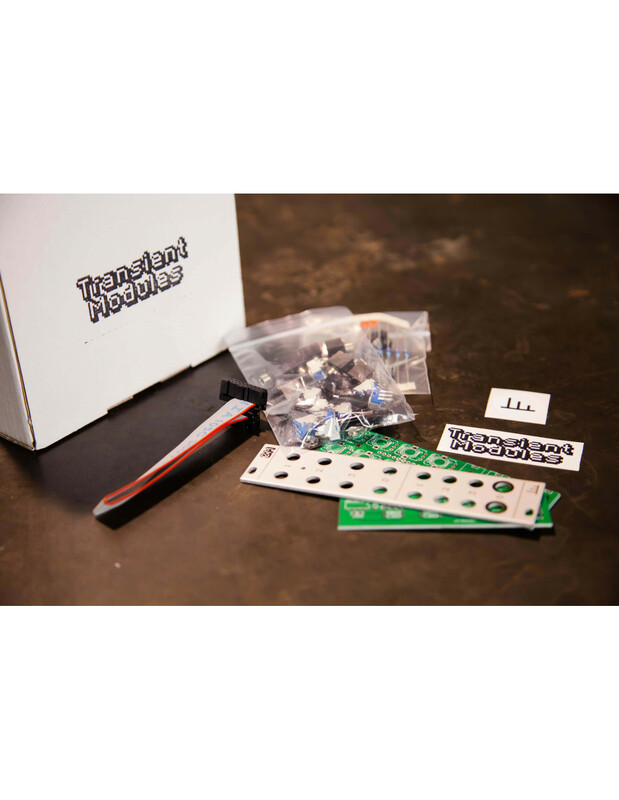 DIY Kit of Transient Modules 1F The kit includes all the necessary parts to make a completed module including power cable. Assembled version of Patching Panda grab-alo8 module. Include M3 screws and power cable. Assembled version of Patching Panda Punch Module. Includes M3 Screws and ribbon cable.